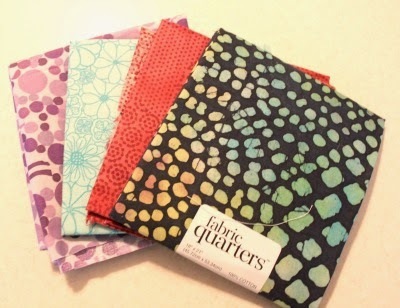 This book, which I borrowed from our local library is aimed towards fabric hoarders to use up their stash of fat quarters in ways to make beautiful gifts or objects around the home. It includes projects in three categories - 1) To wear 2) At home 3) For Kids. I like that the projects include a range of sewing skills - from the very basic like the Fleecy Cowl to slightly more complex like the Fancy Fabric Liner. 1) Bath Mat: I'm always on the lookout for upcycling projects. This is a great way to jazz up and use a bath towel that has seen better days. Texture and color get added to a bath towel by means of 2 contrasting fabrics to make the bath mat. 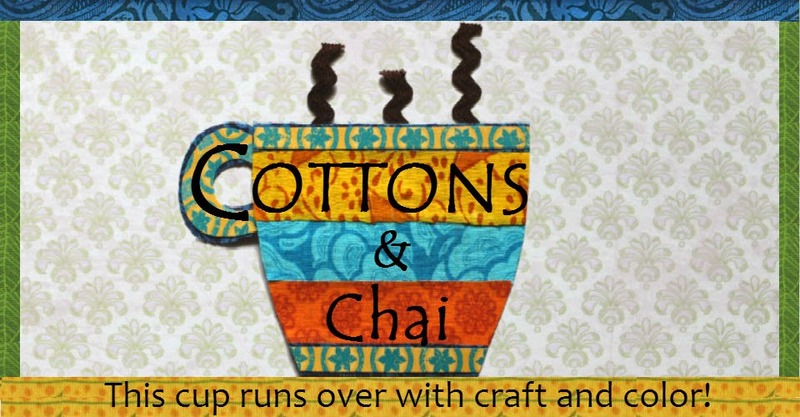 This is a good project for practicing quilting and binding, a bath mat can be quite forgiving when it comes to these two techniques! 2) Yoga pants rehab: This project teaches you how to sew colorful cuffs to stretchy pants in order to spruce it up and add customization. This is a good way to try one's hand at working with knits. 3) Fancy fabric liner: I've noticed that fabric lined wicker baskets sold at stores are shockingly expensive. 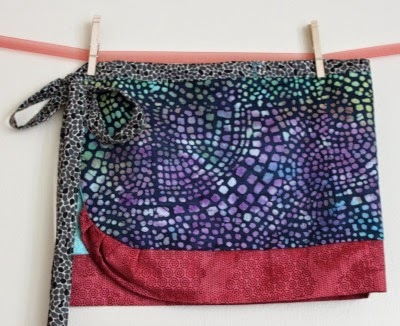 It's not that difficult to sew a fabric liner yourself and this is the project that can show you how. I like the scallops sewn on to the edge that make it extra fancy. This is the project that got my attention in the first place - the Reversible Wrap Skirt. I thought it would be fun to add another pattern to my skirt repertoire and anything reversible is always double the fun. I used the fat quarters I had on hand (and they had to have as much fabric left on them as possible, since I keep using my fat quarters for appliques). So I ended up with these 4 which would probably not make the most popular color combination, but sometimes I like going with quirky. The instructions were quite easy to follow and I finished making the wrap skirt in an hour and a half, with a couple of short interruptions. Per usual feisty little neighbor girl was more than happy to model it! 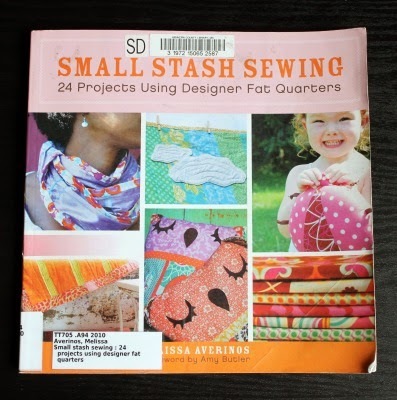 Although this book started out for the author as a way to use up her fat quarter collection, I think it contains some good projects for beginners that haven't yet built up a huge stash and can just invest in fat quarters until they move on to bigger projects. They also make good and relatively quick gifts too. All in all, a useful book for someone who's getting their sewing feet wet and for someone looking for gift ideas! 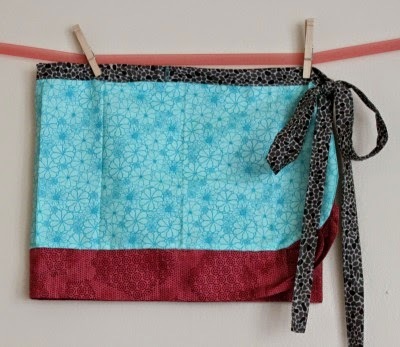 Handmade Holiday Gift #1: Fabric Bookmark!